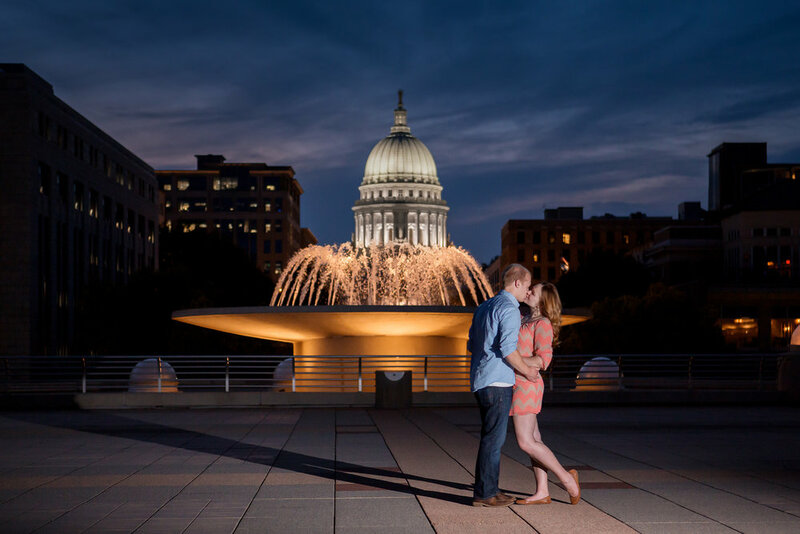 Madison WI Wedding Photographer. Fun, artistic engagement portraiture combined with authentic photojournalism for fun loving couples who want heirloom images. I would love to share more of my portfolio with you or even a full engagement gallery! Let's set up a time to meet or chat. If you would like to inquire about my availability for your date, or have any questions about my engagement session process, photography style, or any of my pricing, drop me a note with the form below, I'll be thrilled to hear from you!